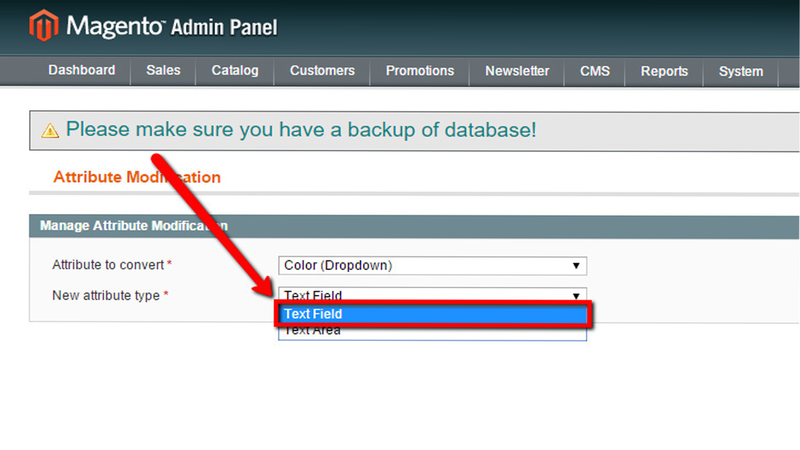 What do you do when a new requirement makes it necessary to change a text type attribute to a dropdown? This is usually a very expensive development task with many inherent risks, but Mageside Attribute Converter makes this transition safe and easy! 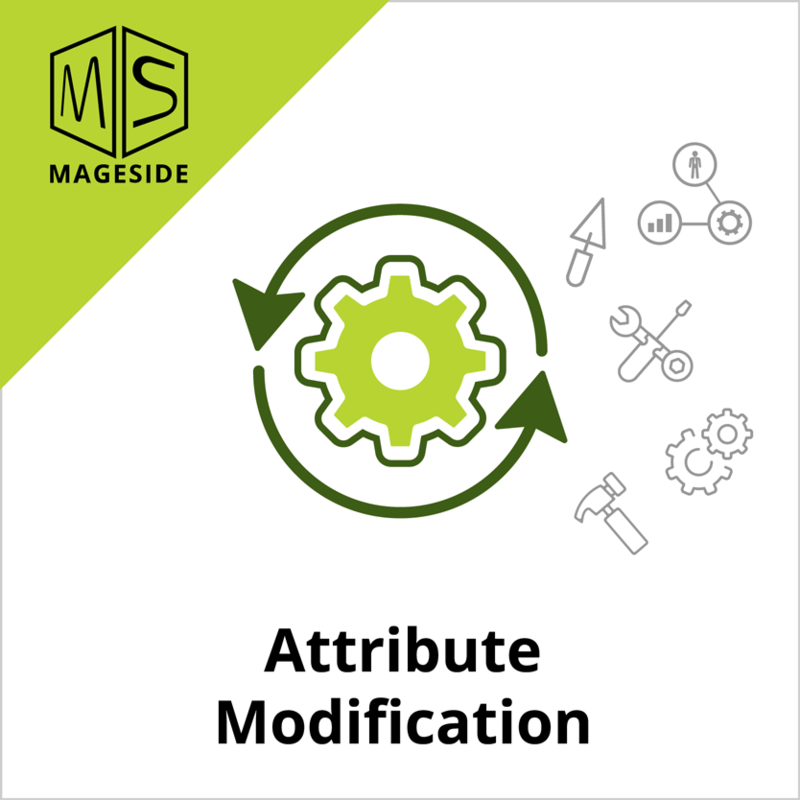 Mageside Attribute Converter allows an administrator or developer to quickly make several types of conversion while maintaining perfect data coherence. No more wasted time slowly converting attribute types one option at a time. 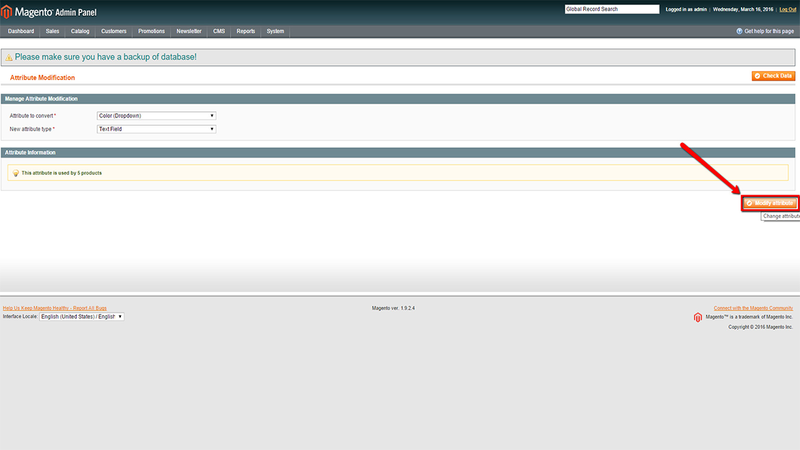 With Mageside Attribute Converter the most attribute type conversions can be done just in a few minutes. No programming required. 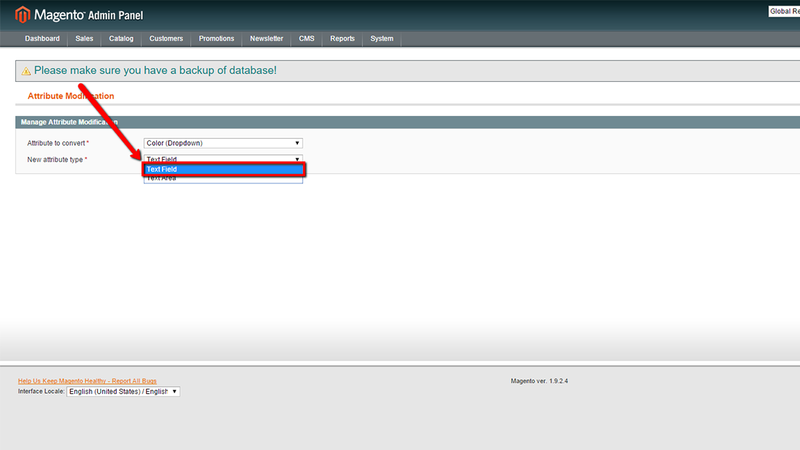 Just install the extension and all the conversion options are immediately available in the Admin / Configuration / Attribute Converter panel. Works perfectly with products that already have attributes options. 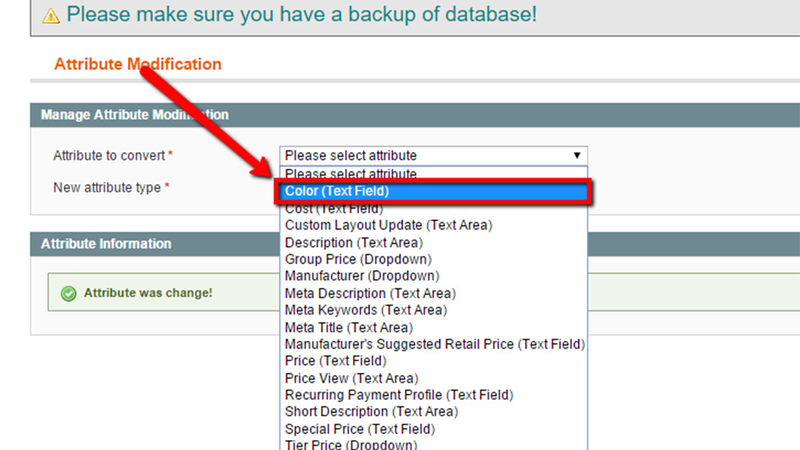 Existing products will have all their attributes properly converted, and all option data will be each conversion. Very clean, very quick. 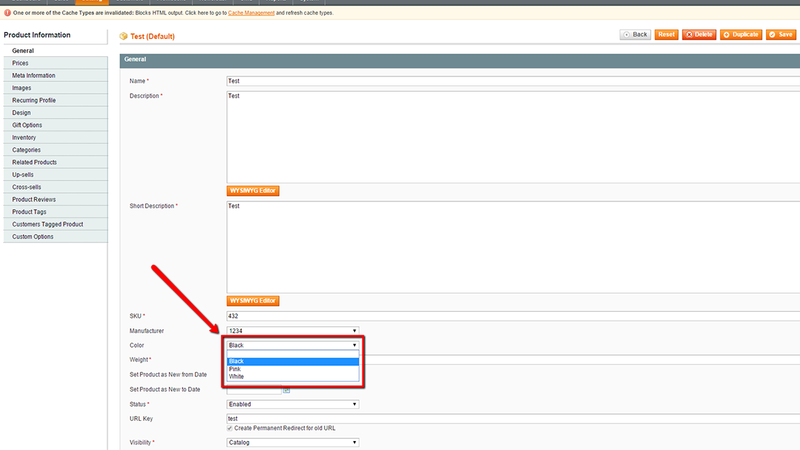 M2EPro users often have to convert dropdown type attributes to text type attributes in order to get them to play well with Amazon templates. When a product attribute suddenly requires many more options, it is sometimes more attribute to simple textfield in order to keep up with the changes. 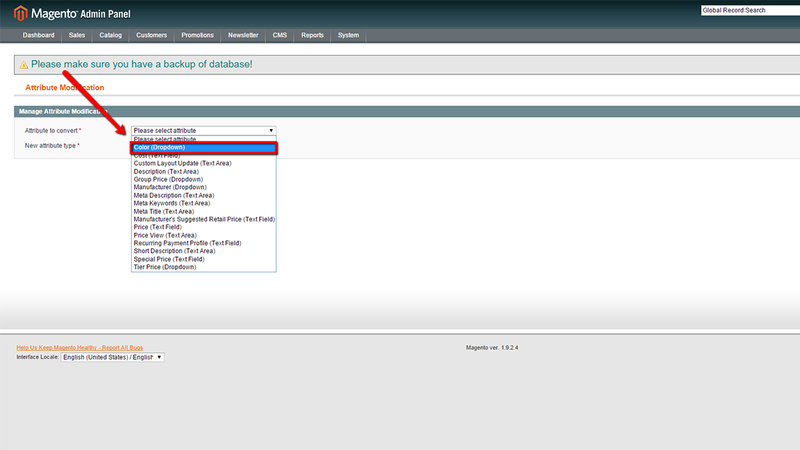 When the many changes are done, you can convert back to dropdown. 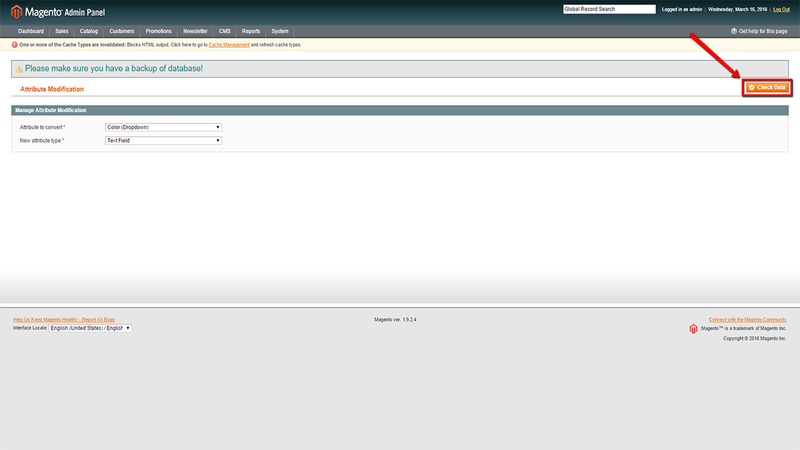 I installed this plugin for my magento store and now I'm happy. Thank you guys from Mageside. Your job is great. I hope to see more plugins coming from you.